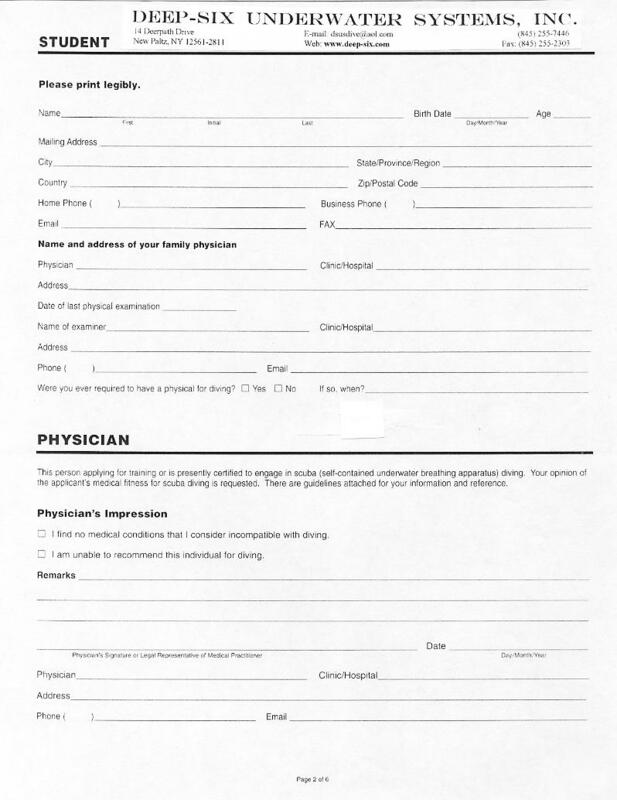 The following 2 pages are a medical form. It is to be completed according to the directions in the letter above. Remember, you do not have to go to a physician unless you answer "Yes" to one or more of the questions. 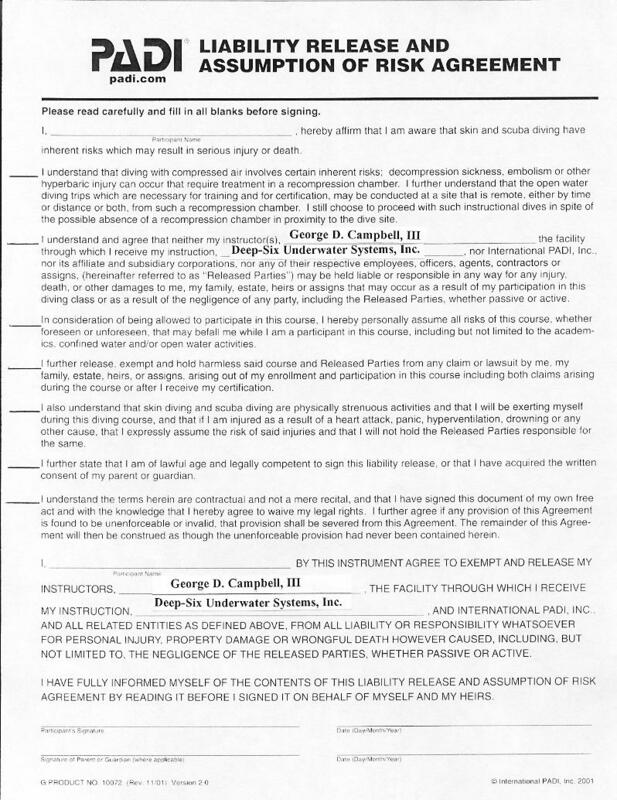 The following document is the PADI Liability form. Fill in all blank lines, read it, and then signed it at the bottom. 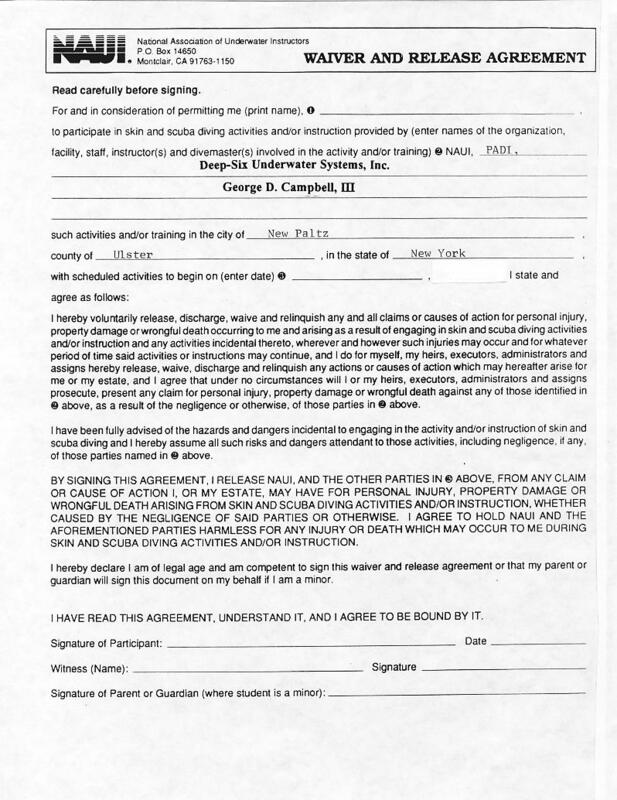 If you are under 18 years old, have your parent sign it at the bottom. 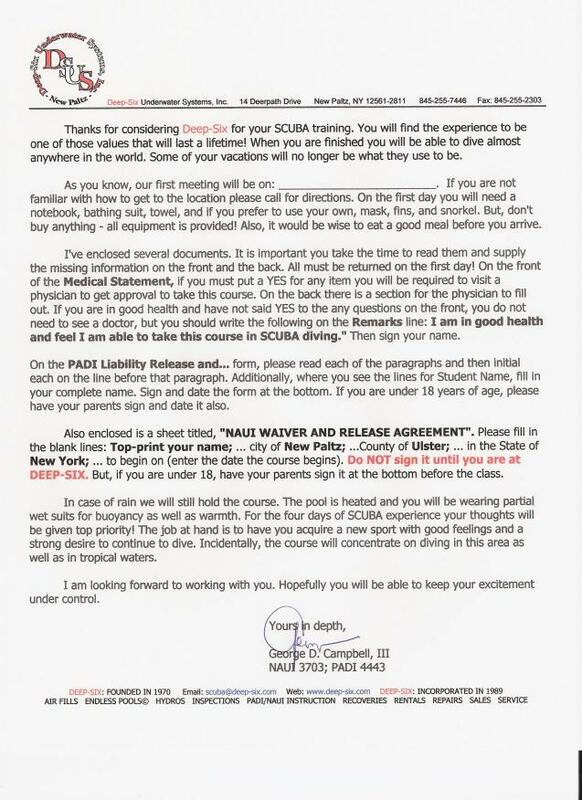 The following for is the NAUI Waiver and Release agreement. 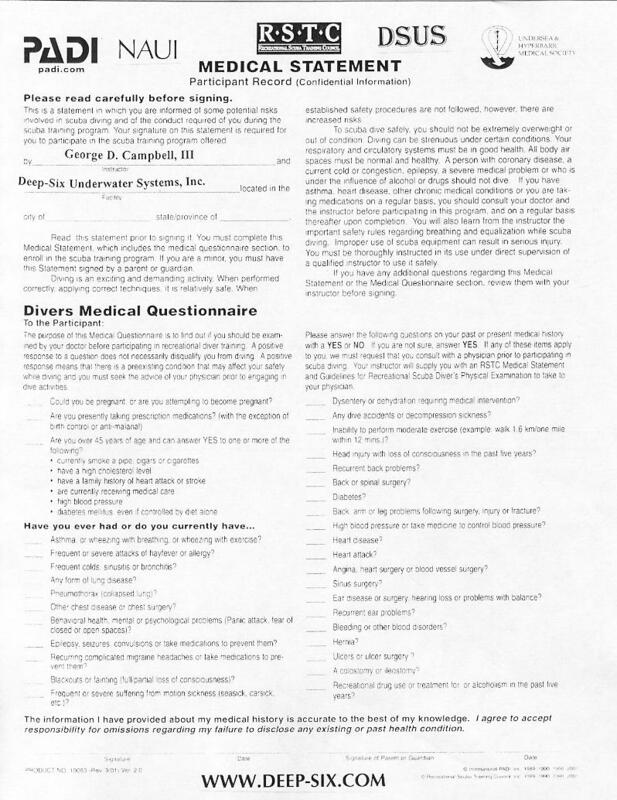 Fill in the blanks but DO NOT sign the form until you are in the first scuba class!!! If you are under 18 years old, then have your parent sign the bottom BEFORE the first scuba class. 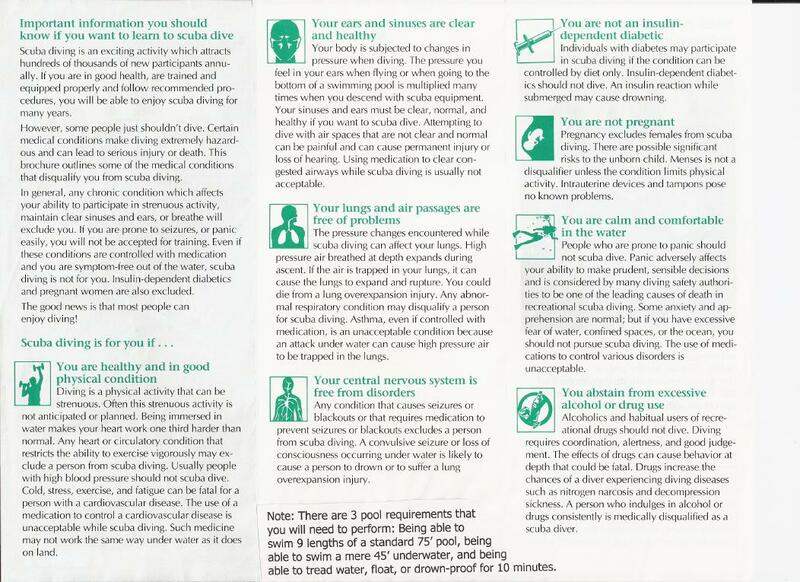 The final form is from a brochure printed by the National Association of Underwater Instructors (NAUI). It gives you some valuable information about scuba diving. A short bit of information has been added from Deep-Six at the bottom in the center.